Thumbnail sidebar shows error icons in place of some images. The information about this bug in Launchpad is automatically pulled daily from the remote bug. This information was last pulled 37 minutes ago. 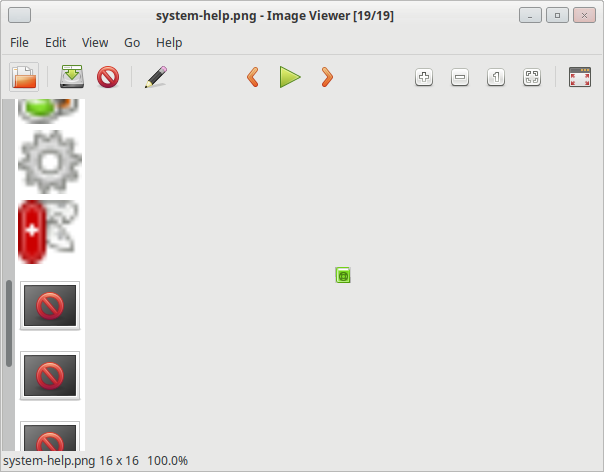 ristretto opens the icon and displaysit, and opens a sidebar which displays other images in the folder. But some of those images just show errors. See screenshot. Is it possible to somehow correct this display so that instead of signs there are real thumbnails? Same problem here with Ristretto 0.8.2. When there are some thumbnails for a folder (i.e. generated by Thunar) then Ristretto will display them. But Ristretto 0.8.2 will not start generation of thumbnails. With Ristretto 0.8.0 this worked well. It appears that ristretto is not automatically generating thumbnails for these icons. If you open Thunar in the same directory, then open ristretto, the thumbnails are present. I can confirm that this affects files in the home directory as well. Does ristretto create thumbnails, or is it maybe creating them in a legacy location? Is this a problem with ristretto or tumbler? I can delete the caches at ~/.cache/thumbails and ~/thumbnails and it seems to work properly for a while but then stops again. I tested install tumbler-plugins-extra, and it made no difference when opening the file directly with ristretto. I did some additional testing on a fresh install. 1. ~/.thumbnails and ~/.cache/thumbnails do not exist. 2. Open existing images with ristretto, no thumbnails, no thumbnails generated. 3. Open existing images with thunar, thumbnails are generated. 4. 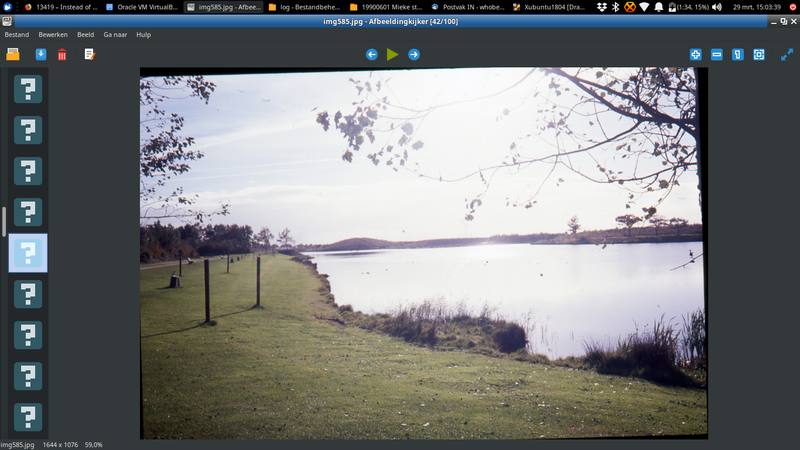 Open new images with ristretto, no thumbnails are generated. 6. Open new images with ristretto, no thumnbnails are generated in either directory. Based on this, I can conclude that thumbnail generation is not happening in ristretto. brainwash, from the Xubuntu Bugs team found that reverting https://git.xfce.org/apps/ristretto/commit/?id=69b7459957427aed16caddb699c5b496dfb6deee seems to resolve this issue. I have tested and confirmed. Can we go ahead and do this to restore thumbnail generation? Igor, can you revert the commit mentioned above, and maybe follow up with a new release? Lots of translations and a few fixes since 0.8.3. Thanks! Revert "Fix memory leak in thumbnailer if image file not found"
Sean, thanks for pointing out the problematic commit! But... Does memory leak present now? Should we re-open Bug #12034? > But... Does memory leak present now? Should we re-open Bug #12034? I've reopened the bug, thanks.